When will be Blowing Up History next episode air date? Is Blowing Up History renewed or cancelled? Where to countdown Blowing Up History air dates? Is Blowing Up History worth watching? 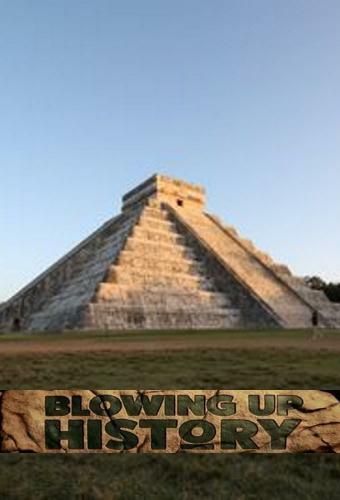 Blowing Up History investigates new evidence that reveals the myths and mysteries behind ancient civilisations and the iconic megastructures they built. How were the Pyramids constructed and what lies hidden inside their secret chambers? How does the Parthenon stand tall against earthquakes? What sacred secret lies beneath the Mayan temples of Chichen Itza? Using groundbreaking technology this series takes a closer look inside these ancient wonders to reveal hidden chambers and vaults, and pulls them apart - stone by stone - to expose their construction secrets. Blowing Up History next episode air date provides TVMaze for you. EpisoDate.com is your TV show guide to Countdown Blowing Up History Episode Air Dates and to stay in touch with Blowing Up History next episode Air Date and your others favorite TV Shows. Add the shows you like to a "Watchlist" and let the site take it from there.